Bowzz, simple put, are suppliers of bows - big bows! 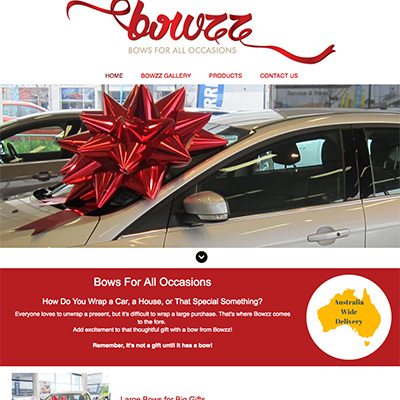 Bowzz are a company with a single focus - big bows! Starting out as suppliers of bows for cars, these guys wanted to expand their horizons to large gift bows of all varieties. To do so they needed to embrace online marketing. That they have done! 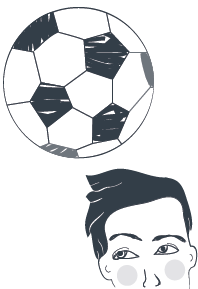 For us it's a great fit because they have a unique and quality offering that we can work with. If it was just bows, like the sort you put on a gift box, well, it wouldn't really appeal. We love a challenge. There are quite a few competitors in the market, but luckily no-one has a product quite like theirs. They are either 1o times the price (and more) or inferior quality. It's early days, but we are starting to rank highly for our keyword terms. From here we will begin to refine the process and grow the audience.